Dubai will start trials of an autonomous air taxi (AAT) later this year, the emirate’s Roads and Transport Authority (RTA) has revealed. The authority has signed an agreement with German AAT manufacturer, 5, to develop vehicles capable of carrying two passengers. It plans to begin testing the vehicles in the fourth quarter of this year. It’s part of the of the RTA's smart autonomous mobility strategy, which seeks to convert 25 percent of all journeys to autonomous transport by 2030. The AAT, which is powered by electricity, comprises 18 rotors to ensure safe cruising and landing of the taxi in case of any rotor failure. 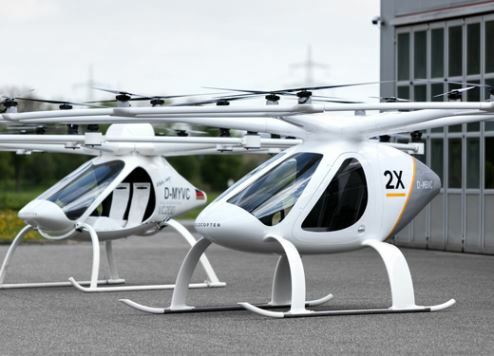 The air taxi is characterised by its autopilot or autonomous flying, enabling the movement of people from one place to another without human intervention or a need for flight licence holder. During the trial period, all aspects relating to the operation, as well as security and safety of the autonomous aerial taxi will be verified and checked, according to RTA director general Mattar Al Tayer. “The official operation hinges on the readiness of companies and the availability of legislations necessary for operating autonomous aerial vehicles,” he said. The RTA is currently working with the Dubai Civil Aviation Authority to develop the legislative and operational guidelines, define specifications and standards applicable to AAV operators in the emirate. In coordination with its strategic partners, RTA will specify the air routes of journeys, take-off and landing points of these air taxis and the logistics required to ensure safe and smooth mobility of passengers. The autonomous air taxi includes several sophisticated safety features including a full aircraft emergency parachute.